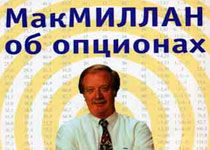 Good books on options trading, in Russian is produced quite a bit, and it is difficult to find them. 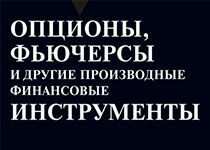 I decided to help novice traders by collecting on this page the best samples of literature on this topic, published in Russian. 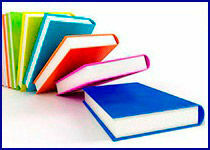 All books can be downloaded for free! 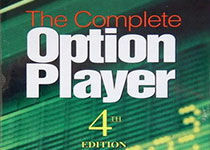 The book "Skilled option player" answers the main question: why is it worth devoting a career to trading options? The perspectives and profitability of options are convincingly proved, their difference from other assets is explained, the most effective strategies are listed and analyzed. "Option trading is a game!" Says Kenneth Traster, one of the most authoritative writers on this subject. 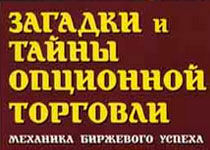 From this book you will learn how to make profitable trades and enjoy the work itself! 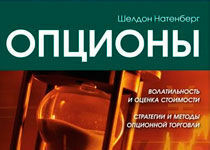 In it you can find a lot of practical advice that will be useful for both experienced professionals and newcomers. Extensive work "Complete Guide to the Sale of Options" not only introduces the reader to the basic rules and principles of option trading: the book helps to understand how this market works, on which the success of the transaction depends. I recommend the book to anyone who wants to thoroughly understand the difficult topic of options. 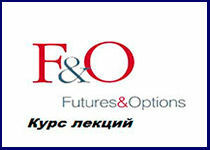 Futures and binary options came to the Russian market relatively recently. 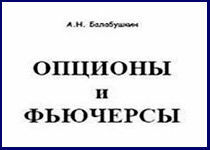 In his book, Alexander Balabushkin reveals the specifics of these financial instruments, raises important questions of pricing, intelligibly explains the main terms associated with options trading. Do not be intimidated by the academic title "Course of lectures." 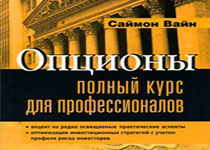 The book, devoted to options and futures, explains the content of these concepts in a simple and accessible language. And a person who has never heard of futures before, and a trader with a certain work experience will take out a lot of useful things from this collection of lectures. Michael Thomsett's book is very popular among traders in many countries: because it contains a lot of useful practical material, submits information in detail and accessible. 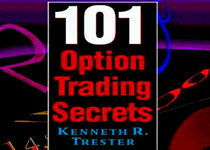 If you need a reliable theoretical basis to start working with options, this book will be the best choice. Sheldon Nutenberg taught stock exchange traders in Chicago - now he writes books that are valued among option traders around the world. First of all, this book will be of interest to experienced traders: it describes interesting and non-standard cases from the practice, the strategies of option trading are profoundly disclosed. Every trader should be able to manage risks and build their work on the basis of cold calculation, and not disastrous emotions. Mikhail Chekulaev pays attention to issues of capital management, gives important advice on risk management, comprehensively reveals the notion of volatility. John Hull's book is a real encyclopedia of derivatives. It can find the answer to any question related to options and futures, elaborates on the main trading strategies, reveals the essence of the main terms associated with option trading. Binary options are by no means the easiest topic, it is not digested "by itself." But the book "Mysteries and Secrets of Option Trading" will be useful for anyone who finds the strength to study the subject deeply, to consistently understand all the issues that make up the course. A prosperous banker, Simon Vine, wrote a book that is very useful for those who have already traded their options with their profession. Serious material is delivered in an accessible form, cases from international practice are analyzed, after each section the exercises compiled by the author are given. Looking for a new way to earn income from the exchange? 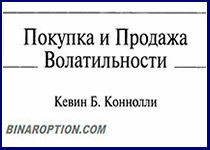 Read the book by Kevin Connolly, adapted by Mikhail Chekulaev. A detailed acquaintance with the concept of volatility and ways of making profit on the basis of this knowledge will help the trader diversify his activities. 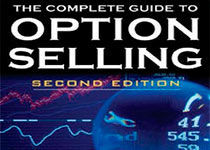 A comprehensive work "Options as a strategic investment" will help to find a new approach to option trading. Useful information not only about the basic strategies, but also about their less common options will help in the work of an experienced trader who seeks to work not according to patterns. 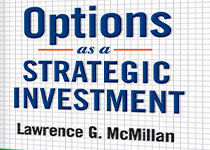 One of the cult authors of works on options - Lawrence McMillan - does not just give the readers the necessary theoretical information, but convincingly proves why they need them. Knowledge is really power, and useful information will help to succeed in the profession: this is what every trader who has read this book learns. Books for forex / cfd / binary optionsBut is it worth? Have you ever been in the sphere of high competition? And now think how competitive the competition is in trading. I ran into this, and I had to check it on my own money. Most come and want absolutely everything and immediately, they are told that everything is easy and simple, and they believe in their illusory genius. You certainly do not realize this, but there is a typical picture when you want to beat market professionals who have given tens of years of life to trading and take money from them, without having invested a single effort in reading at least a few books. 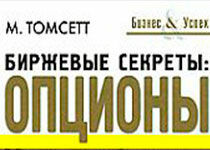 Do you know that there are books written by professional traders? To consider them useless is at least unreasonable, is not it? As a result, we receive a deposit of the deposit, perhaps not once, and only then we proceed to active reading. And now go down to earth, and here are the most useful books about forex / cfd / binary options and trading in this section. In conclusion, I repeat - we read and once again read. Would a lawyer become a lawyer without reading the laws? Practice is important, but without the theory "she is blind," as the great general said. Let's be reasonable people and treat the forex / cfd / options trading seriously, and we will not continue to play roulette.